In the last blog post, we looked at research from the USA on how fish oil has a preventative effect in Alzheimer’s disease. Japan are also focusing their research on Alzheimer’s disease too. What city were your born in? However for Alzheimer’s disease patients, these questions may pose some difficulty. Full marks in this examination would be 30 out of 30. As memory deteriorates, the score starts to drop progressively closer to zero. Six researchers at the Toyota General Hospital in Kariya City in Japan studied 3 patients with Alzheimer’s disease. They had considerable success. One patient’s score on the MMSE improved from 12 to 17 after 12 weeks of treatment, indicating an improvement in that patient’s memory. The other two patients had no improvement in their MMSE scores, but began recognising their family again after a year, which was a very positive change. What did the doctors at this hospital use to achieve these results? Turmeric. Turmeric is an ancient Indian herb that is used in making curry powder. You can find it on the supermarket shelves here in Ireland too. Incidentally, the prevalence of Alzheimer’s disease is four times higher in the developed western world compared to India, where their diet is much higher in Turmeric. The substance in Turmeric that is responsible for these effects is called curcumin. The University of Southern California (USC) also conducted research in their Department of Neurology in 2008, and concluded that curcumin is a promising treatment for Alzheimer’s disease. Remember the professors Greg Cole and Sally Frautschy from UCLA in our last blog post? 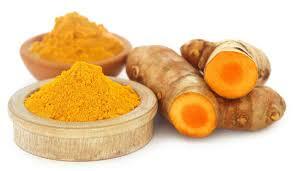 They studied curcumin too, and their research was published in a medical journal called Current Alzheimer’s Research. Greg and Sally concluded that curcumin is a promising agent in the prevention and treatment of Alzheimer’s disease. Further research done by Greg and Sally indicated that curcumin reduces inflammation and nerve degeneration, which you’ll recall are the mechanisms through which synapses are damaged, leading to memory issues. Turmeric may be a simple herb used in cooking, but it appears to have a powerful effect in relation to brain function. In the next blog post, you will read about the results from a third food, that also yielded improvements in Alzheimer’s disease patients. Interestingly, the researchers found that women, and patients with the most severe Alzheimer’s disease, got the best improvements in their memory function scores with this food. This piece of research was carried out in a university in Spain.